The Autumn Statement will be on 23 November, and will be the first time we really get to see the new Chancellor in action. When George Osborne was replaced as Chancellor in July, his successor, Philip Hammond, deliberately avoided taking any action. 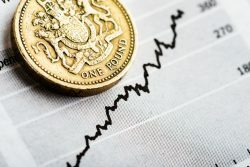 He left the immediate economic response to Mark Carney and the Monetary Policy Committee at the Bank of England, which duly cut interest rates to 0.25% and announced £70bn more quantitative easing (QE) in early August. Mr Hammond did say that he would consider a “fiscal reset” in the Autumn Statement if data available by then suggested it was necessary. We already know that the new Chancellor has abandoned his predecessor’s goal of a budget surplus by 2019/20, but beyond that what form a ‘reset’ could take is unclear. The latest UK public finance figures show that government borrowing in the first five months of the year was £4.9bn below the level in 2015/16. Given that Mr Osborne’s spring Budget forecast represented a cut of £21bn from last year, it looks most unlikely his successor will reach next April on target. It is arguable that the higher than planned borrowing is effectively a “reset” in itself, leaving Mr Hammond little additional room for manoeuvre. However, that might not prove to be the case. The “not just the privileged few” rhetoric of Theresa May has prompted some suggestions that her new Chancellor may take a different line on tax. For example, a more egalitarian approach to pensions could be to introduce the flat rate of contribution tax relief which Mr Osborne shied away from in March. Depending upon the rate chosen, such a move could also generate additional funds for the Treasury to use in boosting the economy, e.g. via spending on infrastructure and housing. The Autumn Statement looks set to be the most important for some time and we’ll be covering the key outcomes, so please keep an eye on our website and twitter or get in touch with the Hartsfield team. As with previous budgets, we will be producing an in-depth summary of the key facts and figures and how it may affect individuals and businesses. Please add your details by clicking here to be sent a copy straight to your inbox when issued on 24 November. Visit our Autumn Statement 2016 Social Media Wall here….